I picked up two packs of the Corp Officers Heavy Rangers Squad for $4 from Asmodee’s 2016 Black Friday Sale. 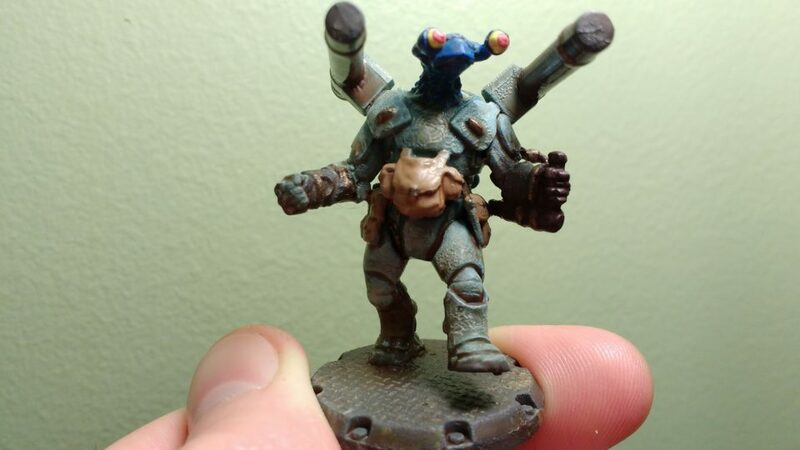 The alien head is from Hasslefree miniatures. I played it safe with the first pack, only switching out the heads, but I want some variety in the alien race I’m creating with them…definitely more than just a simple “palette swap”. 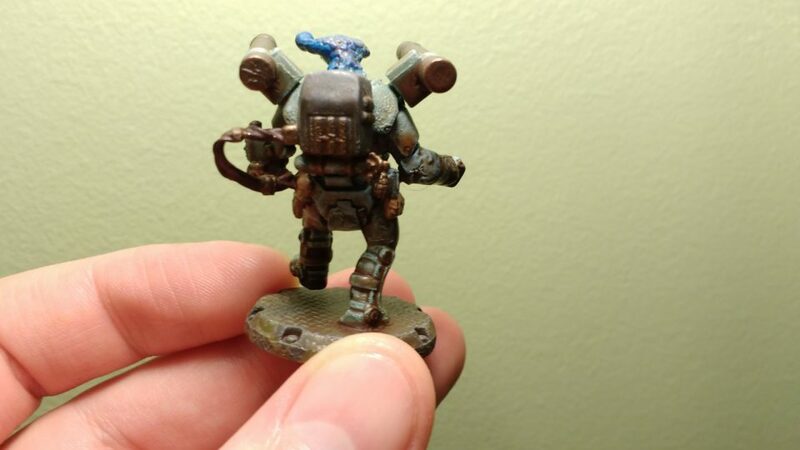 So, with that aim in mind, for my second take on this miniature I decided to change the pose and equipment. The shoulder launchers are from some rocket bits I picked up from Hoard ‘O Bits and the arm was an extra bit from the Enforcer Peacekeeper set I purchased. 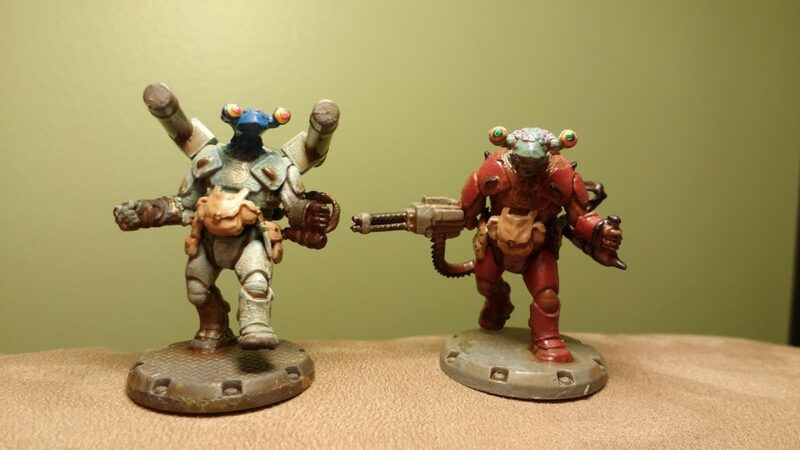 I’m going to include a comparison photo of both miniatures that I worked on from this line. I think that changing the footing made a bigger difference than I realized at first. I have to admit that I like this stance better than the default one!